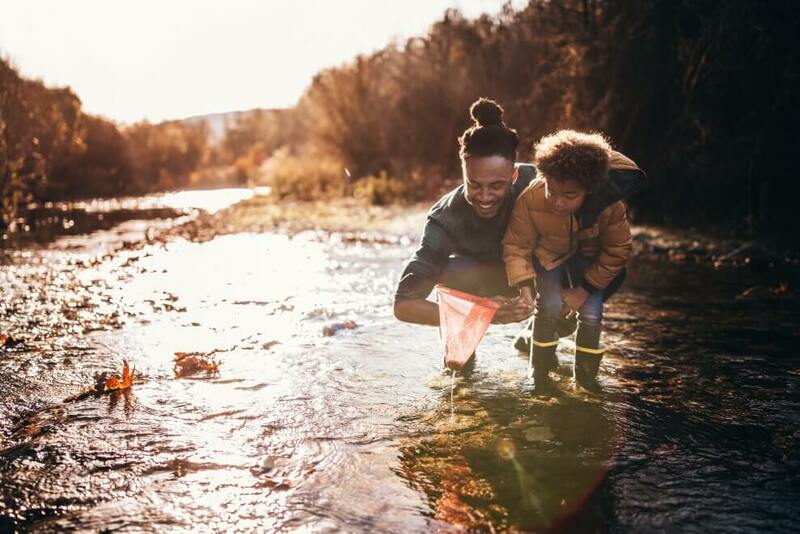 Looking for ways to bond with your kids, expose them to your local natural spaces, increase everyone’s physical activity, and make stronger connections within your community? Starting a nature club for families is a fun and easy way to achieve all these goals. The Children and Nature Network takes all of the guesswork out of starting a club with their toolkit which provides simple steps, checklists, and sample letters. There is no one right way to organize your club and the toolkit introduces many different approaches. The one thing all family nature clubs have in common is adults and children getting together frequently to spend time outdoors. The rest is up to your creativity. They can be created in any neighborhood — whether inner city, suburban, or rural — and in any economic setting. They can be created or joined by any family: single parents, extended families, friends who feel like families. The approach can break down key barriers, including fear of strangers, since there is safety in numbers. You will be motivated to participate. It’s much more likely you and your family are going to show up at a park on Saturday morning if you know there’s another family waiting for you. Shared knowledge: Many parents want to give their kids the gifts of nature, but they don’t feel they know enough about nature to do so. There’s no need to wait for funding. Families can do this themselves and do it now. Nature clubs are a practical and fun way to give your kids more time moving outdoors which experts say is critical to their well-being and development.